Vegetarians and vegans in Russia face an uphill battle in receiving broad acceptance of their diets. State health officials warn of poor nutrition, and some psychiatrists say strict meat-free lifestyles are an indicator of mental illness. Vegetarianism took the spotlight in St. Petersburg when the city's chief dietitian, Vladimir Dotsenko, said vegetarian and raw-food diets are dangerous for children and pregnant women. "Vegans practice raw foodism. Such a diet results in a lack of vitamins A and D, calcium and protein, which are all found in animal products," Dotsenko said at a recent news conference. "Rational vegetarians consume milk and eggs, giving them close to optimal nutrition," he said, according to Interfax. "However, children need to eat meat to grow, and pregnant women also need to in order to help the development of a normal fetus." The comments didn't sit well with locals who choose to avoid meat. Vera Kozlovskaya, 30, who teaches at St. Petersburg Polytechnic University, said some of her vegetarian and vegan acquaintances had given birth to healthy children. They also put their children on full-fledged vegetarian diets, and the children have grown and developed well, she said. Kozlovskaya, a vegan, said that to get enough protein she eats different kinds of legumes such as chickpeas, lentils and beans. She said the variety gives her enough protein to ride her bicycle to work almost year-round. "The only vitamin that is difficult to get from vegetables is B12," she said. "That is why I drink B12-enriched soy milk and take special vitamins developed by the Vegan Society of Great Britain." But people like Kozlovskaya find little support among Russian health professionals. 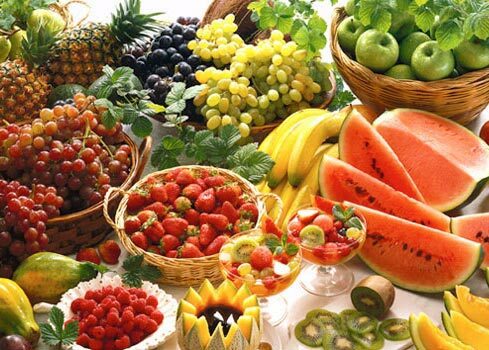 Valery Radchenko, head of the hepatology center at Mechnikov Medical University, said that human nutrition depends on age, genetics and illnesses. "If a young woman doesn't eat meat, she will give birth to an unhealthy child who will suffer from anemia, and that child will be ill for the next several years," Radchenko said. Some foreign experts share Radchenko's opinion. Nina Planck, author of the "Real Food" series and the "Farmer's Market Cookbook," said the risks of a vegetarian diet are "definite and scary" for babies and children. "The breast milk of vegetarian and vegan mothers is dramatically lower in a critical brain fat, DHA, than the milk of an omnivorous mother and contains less usable vitamin B6," Planck, who stopped practicing a vegan diet during pregnancy, wrote in a comment published April 17 in The New York Times. "Carnitine, a vital amino acid found in meat and breast milk, is nicknamed 'vitamin Bb' because babies need so much of it," she said. "Vegans, vegetarians and people with poor thyroid function are often deficient in carnitine and its precursors." Vegetarians, however, point out that many scientific studies have shifted from concerns about nutritional adequacy to investigation of the diet's health benefits and disease-prevention effects. The American Dietetic Association and the Dietitians of Canada say that at all stages of life, a properly planned vegetarian diet is "healthful, nutritionally adequate, and provides health benefits in the prevention and treatment of certain diseases." Other studies have shown that the number of deaths caused by heart disease was 30 percent lower among vegetarian men and 20 percent lower among vegetarian women than in meat-eaters. Vegetarians tend to have a lower body mass index, lower cholesterol, lower blood pressure and less incidence of heart disease, hypertension, Type 2 diabetes, renal disease, metabolic syndrome, dementias such as Alzheimer's disease and other disorders. Nonlean red meat, in particular, has been found to be directly associated with increased risk of certain cancers. Kozlovskaya, the lecturer at St. Petersburg Polytechnic University, said it took her about five years to decide to become a vegetarian. "We always had animals in our family, and my parents taught me to love animals and nature," Kozlovskaya said. "And at some point, I realized it was hypocritical to say that I love animals but at the same time eat them and wear clothes made of leather and fur." Kozlovskaya said she then thought that vegetarians were doing the right thing, but she still couldn't make a final decision for herself. She thought she wouldn't be able to avoid eating meat and didn't want to inconvenience her parents, with whom she lived, by making them cook special meals for her. However, when Kozlovskaya was 22, she came home one day and told her mother that she would not eat meat anymore. Three years ago, she switched from vegetarianism to veganism. She does not wear clothes made from leather or fur and tries to avoid buying things made of wool. Kozlovskaya said her parents soon accepted her choice. The other advantage of her new lifestyle was that she finally learned to cook for herself, and cooking even became a hobby. Russians traditionally have had a good reason to consider skipping meat. The Orthodox calendar, which believers follow, sets aside more than 220 fasting days per year. On those days, all animal products are to be avoided. But modern vegetarianism first came to Russia in the 1890s. Thanks to the influence of famous Russian vegetarians such as the writer Leo Tolstoy and botanist Andrei Beketov, a strong vegetarian movement appeared in Russia before World War I. After the Bolshevik Revolution, the topic became taboo, and the Big Soviet Encyclopedia stated that "vegetarianism, which is based on false hypotheses and ideas, does not have followers in the Soviet Union." No one keeps figures for the number of vegetarians in Russia. But in Western European countries and the United States, 3 to 10 percent of the population follows some kind of vegetarian diet. In the United States, about 12 million people are vegetarian. In Britain the figure is 3.5 million and in Germany about 3 million. The number of vegans is much lower: only half a million in the United States and about 200,000 in Britain. Russian vegetarians say they have anecdotal evidence that their ranks are growing. Nadezhda Davydova, a 45-year-old PR manager, became a vegetarian "in a completely natural way," as she put it. "In fact, I never felt any particular inclination to eat meat but would eat barbecued meat at picnics with my friends two or three times a year," Davydova said. "Then, 12 years ago, I suddenly noticed that I hadn't eaten any meat for more than a year, just because I didn't feel like it. At that time, I would still have fish at my friends' for dinner or at a restaurant, but gradually fish also disappeared from my diet." Davydova finds it difficult, however, to follow a vegan diet. "It's really hard not to eat eggs because I have a sweet tooth, and eggs are common ingredients in cookies, cakes and ice cream," she said. Davydova said she never feels critical of people who eat meat. "I feel perfectly comfortable at a dinner table with other people who are eating nonvegetarian food," she said. "If I have guests, I certainly buy sausage or other meat products. The most important thing for me about people is not their food choice but their good nature." Davydova said that she is against violence of any kind and that for her, eating a rabbit would be like cooking a cat. However, she said she feels uneasy about people who want to impose their vegetarian lifestyle on others. "We won't be able to survive if we don't cultivate balance, nonviolence and care about our planet and those who live on it," Davydova said. "However, in order to ensure that vegetarianism doesn't become some sort of psychiatric problem or cult, the decision to switch to it should be voluntary, conscious and happy. There should not be any arrogance and pride in one's 'heroic' deed." Dmitry Koretsky, who is 25 and the coordinator of the Vegan Club project, said he became a vegan when he was 18 after talking with friends who don't eat animal products. "It took me awhile to do my homework on the topic and find out the influence such a diet can have on one's health. After that I became a vegan overnight," he said. Koretsky said he didn't experience any difficulties in becoming vegan. "The major difficulty was explaining to my relatives that a vegan way of life is normal and that I wouldn't die from it," Koretsky said. "About a year later, everyone had accepted my choice." Koretsky said he felt "excellent" about his diet. Last summer, he took part in a bicycle marathon from St. Petersburg to Novgorod and traveled to the Crimean Mountains, and this year he took up ice swimming. "After I switched to veganism, I virtually stopped catching colds, and my allergies disappeared," he said. Koretsky said it is not very hard to be a vegetarian in St. Petersburg, where the food selection is quite rich. "It's a bit harder with veganism, but it depends on what people want," he said.